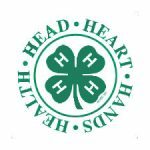 Registration is now open for the Extension Milwaukee County 4-H Fair Talent Show! The Talent Show will take place on June 8th from 1 PM to 2 PM at the Summit Place Office Complex (6737 W Washington St., West Allis, WI 53214). Youth ages 5-19 are welcome to participate. All entries must be approved by the talent show committee. To enter in the talent show, please complete this registration form by May 25th. You will receive a confirmation if selected to participate. If you’re performing in a group, all members must register separately and include the same title of your performance. All youth should be accompanied by an adult. Acts must be 10 minutes or less. All acts must be youth appropriate. Why: Share your talent and learn more about 4-H Youth programming available to you.